Upper: Stretch Polyamide, synthetic leather side panels,Velcro fastening straps. Outsole: Vibram rubber, compression molded EVA. The Bikila is Vibram's first Five Fingers shoe designed specifically for running, with a negative heel to toe drop and near-zero cushioning. Novice minimalists should exercise caution while transitioning into the shoe, loading up miles gradually while strengthening their lower body. Vibram has been in the footwear business long before they even thought of making the Five Fingers. Founded in 1937 by Vitale Bramani (Vi-Bram), the brand has its roots in mountaineering, having made the worlds first vulcanized rubber sole meant for climbing. Called the ‘Carrarmato’ (tank thread), the 1937 invention utilised material technology from Italian tyre manufacturer Pirelli, and set the foundation for the brand’s growth in the years to come. For past many decades, it has been the world’s leading outsole supplier to countless footwear brands, across categories such as mountaineering, outdoor running, safety shoes and military standard issue. 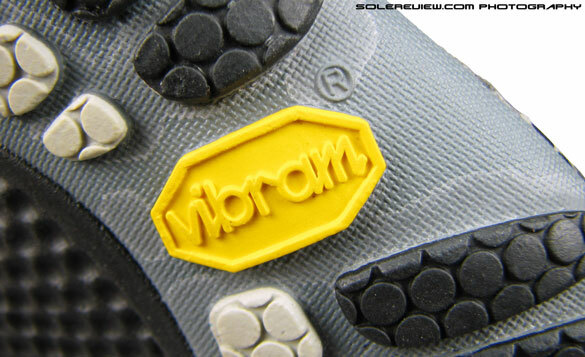 Most of us would have come across the familiar yellow Vibram Octagon outsole logo in one shoe or another. Practically every brand involved in making performance outdoor footwear have used Vibram outsoles. Adidas, Nike (during the ACG era), Salomon, Merrell, Columbia, and The North Face, for example. You name the brand, and there’s a high chance they’ve used Vibram at some point of time. It has an unbelievable amount of toe hold, pun intended, on the outdoor footwear industry, equalled only by its apparel equivalent, Gore Tex. For a shoe, using a Vibram outsole means as much as an Ivy league degree does to a college grad – the yellow octagon meant a hallmark of rubbery superiority. There is unanimous agreement on what kickstarted the barefoot or zero drop phenomenon. It was undoubtedly the publication of the best selling 2009 book, ‘Born to run’ by Christopher McDougall . The book chronicled the distance running culture of the Tarahumara tribe, where participants ran ultra-challenge distances in nothing more than a pair of home made sandals with zero cushioning or stability features. What even made the tribe so remarkable that the years of running long distances did not appear to result in injuries, with Tarahumara Septuagenarians still putting in mileages which would seem out of reach for most urban runners. Mr. McDougall stressed that the key to effective and injury free running was technique, and not running shoes with all their cushioning and motion correcting devices. Two things happened simultaneously soon after the book came into the market.